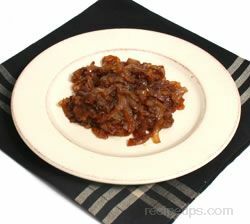 Sweet Spanish onions work the best, but any onions will have some sugar to make these delicious. These can be used in eating on their own or used in French onion soup. Also goes well on a grilled steak. Heat oil or margarine in large skillet. Cook onions until most of liquid is taken out, approximately 20 minutes. Combine sugars, thyme, salt and pepper. 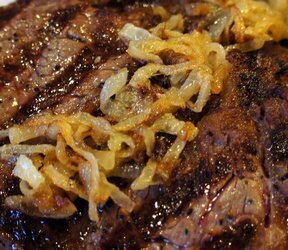 Sprinkle over onions and stir occasionally, uncovered, until caramelized. 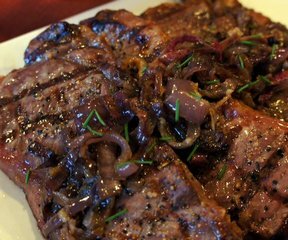 "I used red onion and they were absolutely delicious! I put them on top of a grilled chicken breast but my husband had it on his steak. We both loved the sweet addition."